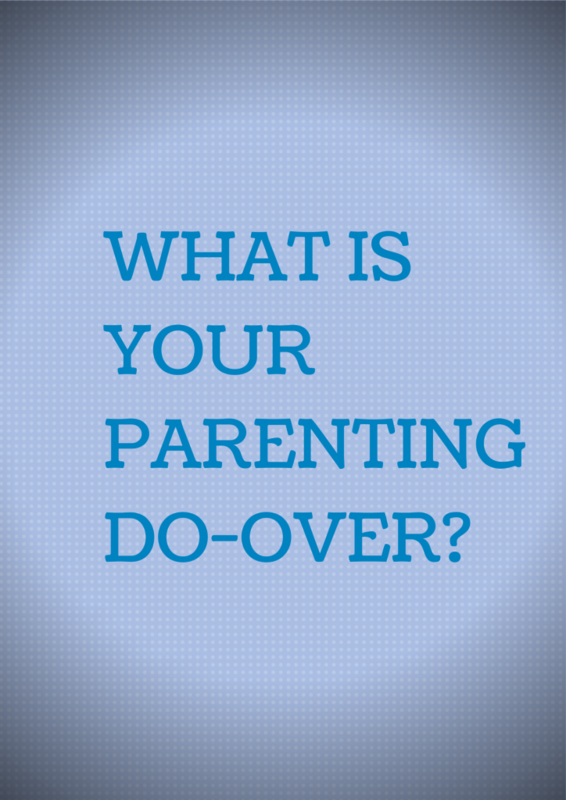 If you were allowed one parenting do-over, what would you use it on? Or shall we never speak of that which shames us? Parents make mistakes. Truth. Parents can make mistakes daily. Hard truth. Parents are learning as they go. Worst-kept parenting secret ever. So, what would be my parenting do-over? Let me start here: Boy was an only. I married the love of my life and in a hot minute we were pregnant. We weren’t supposed to be able to have biological children and had made plans to adopt. It was all very how did that happen? SURPRISE! Because we always considered Boy to be our miracle baby (there were more pregnancies, yet no more babies), I felt protective of the gift. Fine, overprotective at moments. He was a much loved kiddo, but the poor thing couldn’t catch a break from our focused gaze. Not only was he an only, he was a homeschooled only, so I knew where he was and what he was doing for pretty much his entire childhood. Not that he didn’t have friends or went on sleepovers or had a life other than school. He did! But, when one runs with a pack for most of the day while in school, some things delightfully slide under the radar. For Boy, it was harder. That’s my do-over: I wish I had let more things slide. Looking back, I see where I could have been more relaxed. Yet, in the heat of parenting everything seemed so big, so important, so do-or-die. Parenting, when done competently, is the hardest job anyone will ever attempt in their lives. Being responsible for shaping and guiding another human-being is overwhelming at both ends of the emotional spectrum. It’s physically daunting. It’s mind-blowing. It’s a hard look at every thought you ever held as truth. And I’m saying now, given the intensity of wanting to get it right, I could have loosened the MOMMY’S GOT YOU! grip. What about you? 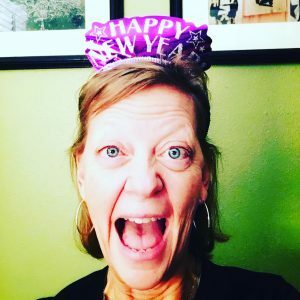 Want a parent do-over? Just the opposite, especially the preschool years. Indian culture utterly spoils preschool children and then is very strict thereafter. I would have been more insistent on learning “the rules” early. My son was a good kid, but I think it was harder to go from “Daddy’s the easy one” to “Mommy’s the easy one” than the other way around. And because he dad became so super strict, I was probably too lax when he was a teen. Not sure he’d agree, though. And he’s turned out fine. They seem to survive us. So, that’s good. Also, I never knew that about the Indian culture. So interesting. My do-over would have been to choose my battles more carefully. Especially with my first daughter. I think with her I was so worried I’d screw up that I was leaning toward the “Stepford mommy” end of the spectrum. I’ve learned with my 2nd daughter, and an eight year gap between, that times are SO much harder for kids than when I was a kid. I choose my battles more carefully with her and I’m not so apt to snap a yes or no answer to big questions. Often I tell her I’ll think about whatever the issue and I do. THEN we talk about it and I’m more flexible and able to compromise. Sometimes. Some values I have I refuse to alter. Not many, but a few are just not happening…tattoo’s, body piercing, gauges, alcohol, drugs…etc, etc. I’ve let her know when she’s an ADULT she will be able to make those choices but for now. Nada. We also had the “when you’re an adult you can make those choices” talk too. I think most parents do. It’s tough because parent and child are coming from such a different mindset and set of experinces, but when they know they’ll eventually be in charge, think it makes it a bit easier. Thanks for joining the conversation. I’d have to think about it…I would probably have tons of them! I need to learn to pick my battes better, especially with my daughter. I definitely was stricter with my firstborn and things slide a lot more with the other 2. But I don’t think I am an overly strict parent…I do let a lot of things slide right now. But if they do something to lose my trust, a lot of that WILL go away and they know it. I think my answer would change on a daily basis…so many things! But, I love that your kiddos KNOW where your line is. That’s always a good thang. At one time in my life I would have picked myself apart on this do-over thing. No more. We did the best we could and all 6 turned out fine. Great educations and inspiring jobs and families. Living on a farm for 9 years helped a lot. I am not bragging by any means. I have finally learned to not should on myself. I too think mine turned out fine, yet I’m an introspective gal who thinks about these things. I know that I moved in love, even when making mistakes, so it doesn’t upset me to think about the should-ifs, merely an exercise in thought. I think all the do-overs I want are as a person/wife more than as a Mom. SO many things I would have done differently that would have had a better impact on the lives of all of us. Miraculously she turned out great in spite of it all. Right?! Somehow they turn out fine in spite of us! Hi! I am visiting from the Moonlight and Mason Jars link party. I completely understand what you are saying! I have two boys – one five and one three. We were soooooooo much harder on the first one then the second. I used to think if I really stood firm on an issue the first time it happened, we would nip it in the bud right then and there. We actually had a one hour stand off with him as a toddler because we told him he had to try corn with his dinner and he wouldn’t. He finally ate it and then gagged it up, lol. Now I know you just put veggies down every day and then they start to eat them. Or I just puree them and stick them in things and avoid the fight all together. Like spinach smoothies! But already I would do over the past three years with my five year old if I could. I would have less battles over little things and I would’ve just hugged him more as he adjusted to having a new brother. It seemed like he was so much older and should know better, and now I know he was just little. I had to laugh at this……..sorry. Talk about do over……yes I did feel that way but no longer. I am 67 and I am raising my 3 year old great grandson. Talk about do over. I am learning about parenting in a whole different age with different ideas and new rule book. Oh,man! That’s amazing and daunting. Good luck, momma. 4-years old is a great age! Thanks for coming by. I don’t have any do-overs to ask for yet, as my first is just 11 weeks old, but I wanted to post because I was an only, too. We all survive our parents, and while you may remember times when you were too hard on him, or a little too strict, or whatever, I can assure you, he more than likely hardly remembers them. I’m 25 now and I only remember the times we butted heads when I was a teenager, but most of that is because I was a teenager. You did good, mama! 11 weeks old! Enjoy these early days…heck, you’ll enjoy them all. Thank you for such a kind comment. Husband and I come from large families, so we always wished Boy had known that life, but it wasn’t to be. I’d have to say that along with the drawbacks of being an only there are also some great advantages, so it works out. Now we’re on to our grandbaby, Sweet E. So many years (God-willing) of joy to come!